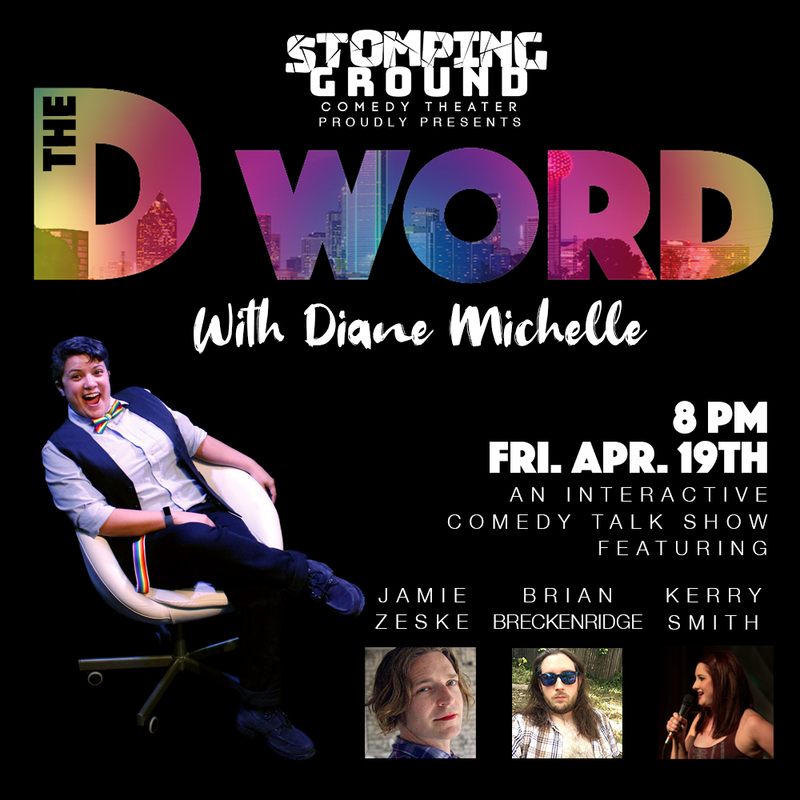 Stomping Ground's monthly stand up comedy show featuring local favorites and touring comics hosted by Diane Michelle. 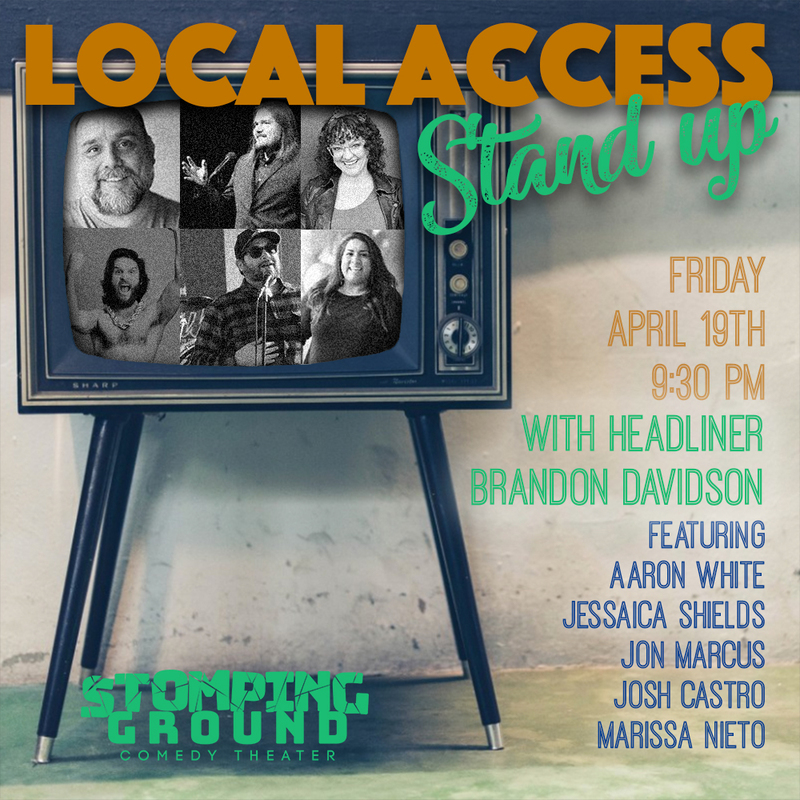 April 19 features locals Aaron White, Jon Marcus, Marissa Nieto, Austin's Josh Castro, L.A.'s Jessaica Sheilds, and Headliner Brandon Davidson.This show is rated M for Mature/18+. Stomping Ground is BYOB. Seating begins 15 minutes prior to the start of the show.